Think you have what it takes to beat this easy-to-learn yet hard-to-master Puzzle-Shooter? Fire bubbles to match colors, cluster three together to make them burst. But beware, the board shrinks the more you fire. Clear all the bubbles before its too late. 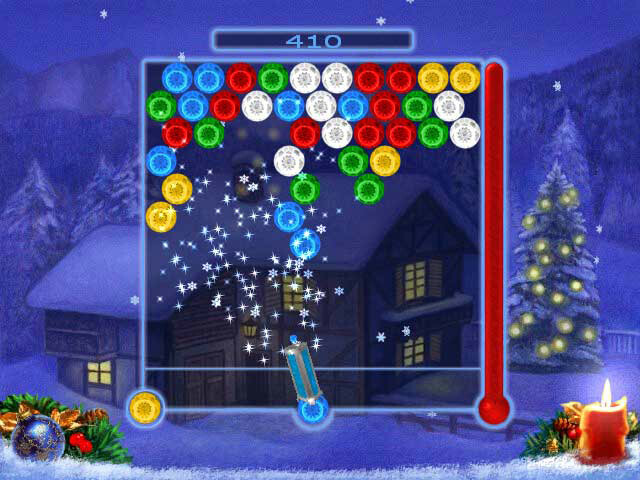 Sprinkled lovingly with holiday cheer, this is one game anyone can enjoy! Fire bubbles to match colors. 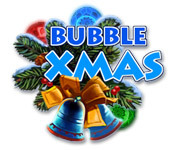 Bubble Xmas is rated 1.3 out of 5 by 4. Rated 2 out of 5 by sereneorchid from If there's nothing else to play... The best thing about this game would be the holiday theme, with options to customize the ornaments that you shoot. The cannon can be a little hard to control (don't make the sensitivity too high in options), and trying to bank shots works sometimes and not others. Surprisingly, there's no holiday music except when you launch the game. If you're really looking for a bubble popping holiday game, this might suffice. But as popper games go, I'd keep looking. Rated 1 out of 5 by ldzach02 from luck rules Any bubbles you burst on this game are by luck only. Very very hard to maneuver. Basically there is NO maneuvering. Rated 1 out of 5 by Bawlz from This one will 'Burst Your Bubble" I just love Bubble Popper games, but this one was made without any zeal. Graphics are yesterday, the music quality is poor, the ability to aim is a bit skewed. I played for about 5 mins and uninstalled it. I am not usually critical but it just seemed like someone was given the assignment of making this game as a punishment. Geez! Rated 1 out of 5 by pippi_again from no control This could be an ok game IF there was a way to control the shooter. A deceptively simple Puzzle-Shooter that demands a suprisingly increasing degree of strategy.